If you wish to purchase one or more products shown on the website, you may add them one by one to your cart. Once your choice is complete, you may proceed to buy the selected items. A summary page, including main details of the selected products, will then be shown and you will be asked to perform the payment. Your order will be considered a contractual proposal addressed to Active Mind Srl (which is the manager of this site, along with Gianpaolo Lorusso). After making the payment directly on Paypal, you will be redirected to your account page (which will be considered acceptance of the order) where you will find the links to view the videos (starting from 2016 edition is no longer possible to download them), or to make the download. We’ll also send an email confirmation which will contain the link to your account page to view or download your purchased products. Immediate consumption products, such as videos, guides and other downloadable files, do not allow you to exercise money back guarantee, but if you do not like purchased items you can ask within 10 days from order’s date to have them replaced with one or more videos of equivalent value of your choice. To take advantage of this opportunity you will have to contact us, stating the reason for the change, and indicating which videos you would like to change (we reserve the right to reject the application if reasons given are frivolous or spurious or the request is repeated more frequently than once a year). Events subscriptions can be cancelled with no penalties up to one week before the date fixed for the booked event. In case of late cancellations we reserve for ourselves the faculty to return only partial refunds. All invoices for products purchased on this website will be issued by Gianpaolo Lorusso, Via S. Allende 506, 47032, Bertinoro (FC), Italy, VAT ID n. IT03455090401, based on the information provided with your order. We will try to issue invoices as soon as it is possible, but in case of delays, please be patient. We will come up to you. You can not simultaneously use more than 2 discount codes in a single order, even if the site allows you to do it. In case of violations, we reserve the right to cancel the order or to ask for an extra payment equal to the amount improperly deducted from the total transaction. All products purchased on this website are subject to applicable laws concerning conformity liability and commercial warranties for consumer products, according to European and Italian regulations, including the above mentioned Codice del Consumo. Without prejudice to wilful misconduct or gross negligence, we are only liable for any direct and predictable damage during your use of the website or at the moment of closing the purchase agreement. Thus, we shall not be liable for any losses, loss of profits or any other damage which is not an immediate direct consequence of our breach of contract terms or that it could not be predictable at the moment of your use of the website or of the purchase agreement. When using the website, you are required to protect your username and password and access to your computer, in order to prevent unauthorized access to your account. Therefore, you hereby consent to be liable of all activities performed through your account and password. You hereby consent to inform us immediately in the case you have reason to believe that any third party might know your password, or if your account is being, or might likely going to be, used in an unauthorised manner. Please ensure the information you provide us is correct and comprehensive and inform us immediately of any changes to the details provided at your registration. We inform you that you will be liable to criminal prosecution for any false or mendacious statements that you provide. ADworld Experience reserves the right to refuse access to the website, to close an account, to remove or modify the website contents or to cancel any order upon its sole decision, within applicable limits according to the Law. If an order is cancelled, no cost will be charged. 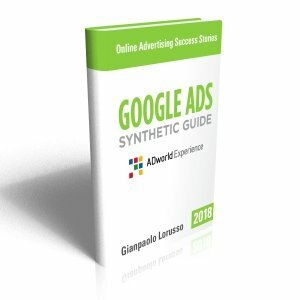 All contents available on the website in the form of texts, graphics, logos, icon buttons, audio files, digital downloads, data and software collection, are the property ADworld Experience and are protected according to Italian Laws and International regulations on copyrights and database rights. In specific, all products being offered on this website are subject to copyrights and it is not allowed to redistribute them in any form, on any basis, in whole or in part, and by any means without specific written authorisation by ADworld Experience. To request a special dispensation, please write to info@adworldexperience.it. 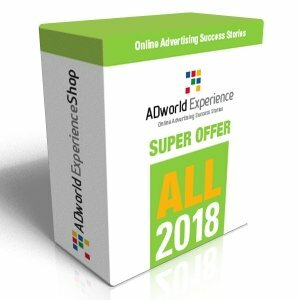 You cannot reproduce, duplicate, copy, sell or use in any other way and for any personal or commercial purpose, this website or any of its parts without expressed written consent by ADworld Experience. You cannot make use of any framing techniques to steal any mark, logo or other information that is the property of ADworld Experience and its affiliates without our expressed written consent. You cannot either create and/or publish a database of your property, which includes significant parts (e.g., prices and product listings) of this website without our expressed written consent. You should not use the website in any way to interrupt, damage or otherwise compromise its functionalities. Any use of the website to perform any illegal activity, or for purposes of harassment or disturb is forbidden. It is permitted to publish reviews, comments and other contents, to send information and submit suggestions, ideas, comments, questions and other information, provided that their content is not illegal, obscene, threatening, defamatory, infringing someone’s privacy, intellectual property rights or offending third parties in any way, or that it is not, or it does not contain, virus/malware, political propaganda, commercial solicitation, chain letters, mass e-mailing or any other form of spamming. You cannot use a false e-mail address, pretend to be someone else or in any other way provide false declarations about the content origin. ADworld Experience reserves the rights (without any obligation) to remove or modify any content published on the website by the users. Affiliates commit to publicly promote sales of products offered on the website by receiving in exchange a commission to be calculated on the basis of every confirmed and successful purchase, which is directly referable to their promotional activity. The organizers commit to pay to the affiliate a commission of 20% of the sale price of each product sold within 60 days from the date of the first access to this website by the customers who did use the affiliate link provided at subscription of the affiliation program. The sale tracking system also tracks the purchaser IP address, but it is not able to ensure the positive identification of 100% of purchases referable to a specific affiliate (as all affiliation systems currently available on the market). The organisers of ADworld Experience reserve the right to accept and revoke at any time subscriptions to the affiliation program, irrespective of the effective access to the affiliation area and/or accrual of commissions. The purchase is considered successful and the relevant commission accrued when the buyer has paid the corresponding amount to ADworld Experience, provided that he or she has not requested the order cancellation or its refund within applicable terms. Accrued commission will be paid when at least a credit of 100 Euros is achieved, or monthly for higher amounts, upon submission of a regular invoice by the Affiliate. The contract has a duration of 1 (one) year and it is considered valid by the organisers’ confirmation of the affiliation start and by the communication of the affiliation link. In the absence of adverse communication, the contract is automatically renewed for a similar period of time. In order to withdraw the affiliation contract, the affiliate will have to provide a relevant written communication to ADworld Experience. ADworld Experience uses the best available technologies for tracking the sales and makes an effort to install and maintain them carefully. Still, it cannot be considered liable for any technical malfunction, which does not depend on his will. These terms of service will be governed by and construed in accordance with the Italian laws. The court of Forlì, Italy, shall have exclusive jurisdiction over any disputes relating to this project.